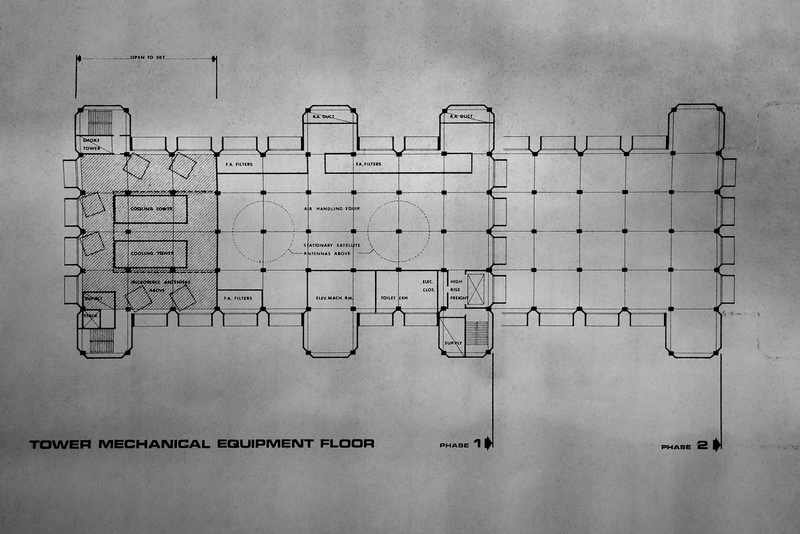 What's inside the windowless AT&T/NSA spying hub in lower Manhattan? The windowless, 550'-tall AT&T tower at 33 Thomas Street in lower Manhattan is the building referred to as TITANPOINTE in the NSA documents leaked by Edward Snowden, and was likely the staging point for the NSA's BLARNEY operation, which illegally spied upon communications to and from "International Monetary Fund, the World Bank, the Bank of Japan, the European Union, the United Nations, and at least 38 different countries, including U.S. allies such as Italy, Japan, Brazil, France, Germany, Greece, Mexico, and Cyprus." TITANPOINTE, built from 1969-1974, was designed to withstand an atomic blast, and has enough food and supplies to sustain 1,500 people for two weeks. The NSA operates a surveillance operation at TITANPOINTE from within a "Sensitive Compartmented Information Facility." NSA agents that visit TITANPOINTE do so while pretending to work for the FBI (whose offices are practically next door), booking their travel through the FBI field office and hiding any NSA badges or insignia on their visits. AT&T is the NSA's most enthusiastic spying partner. The agency outsources many of its most illegal operations to AT&T, and AT&T even developed "products" to spy on its customers on behalf of the US government. In 2005, a former AT&T engineer named Mark Klein revealed the existence of an NSA/AT&T spying operation in San Francisco that let the NSA eavesdrop on all communications carried on AT&T's fiber trunks. The Electronic Frontier Foundation initiated a lawsuit against AT&T in 2006, and that litigation is still ongoing, though it has been hobbled by the Democrats' and Obama's decision to help grant immunity to AT&T for its participation in illegal spying. Much of the surveillance carried out at TITANPOINTE seems to involve monitoring calls and other communications as they are being sent across AT&T’s international phone and data cables. But the site has other capabilities at its disposal. The NSA’s documents indicate that it is also equipped with powerful satellite antenna — likely the ones located on the roof of 33 Thomas Street — which monitor information transmitted through the air. The SKIDROWE spying program focuses on covertly vacuuming up internet data — known as “digital network intelligence” — as it is passing between foreign satellites. The harvested data is then made accessible through XKEYSCORE, a Google-like mass surveillance system that the NSA’s employees use to search through huge quantities of information about people’s emails, chats, Skype calls, passwords, and internet browsing histories.